This weeks DIRTY MIND MIX is coming from Spanish DJ duo Amo + Navas. 08 Age Of Love - Age Of Love (Manuel De La Mare Remix) - Tiger rec. David Amo and Julio Navas are a well known DJ/producer team. They played in clubs and festvials around the globe like Creamfields, Sunrise Festival and Kaballah. 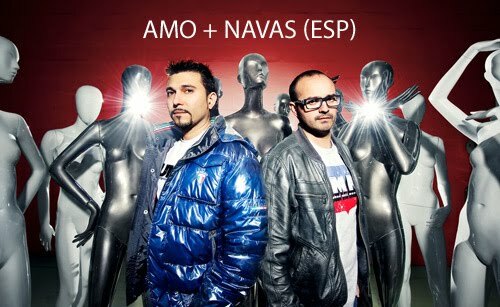 Amo + Navas are frequenters of the Ibiza nights and have also been headhunted by some of the most important clubs on the white island: Amnesia Ibiza, Space Ibiza and Privilege, proving their skills, as always, to the most demanding audiences. Ever since they started producing, Amo + Navas have always been working in their very own studio – The Sensations Lab. Currently, they are the owners and head managers of Fresco Records which, according to critics, is one of the most innovative labels within House Music. They have been awarded several international prizes for their work.